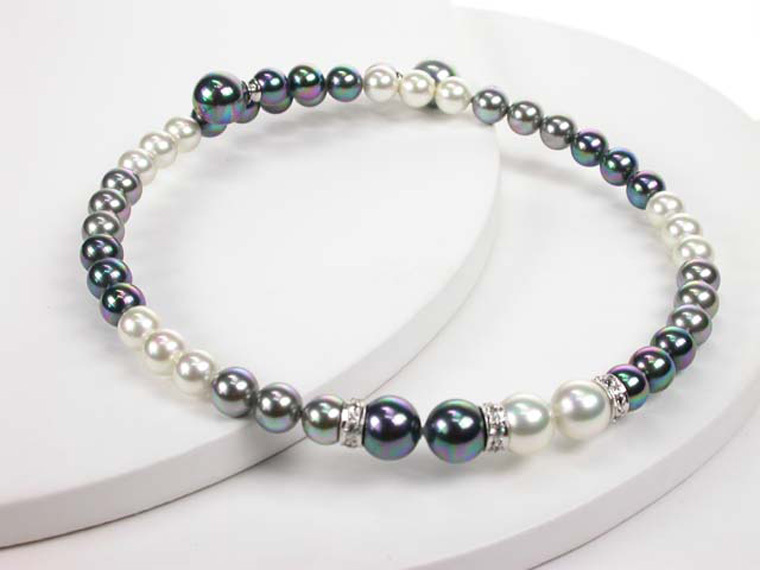 Trendy and Youthful Bracelet with white, black and grey pearls in different shapes and decorative elements in Sterling Silver. 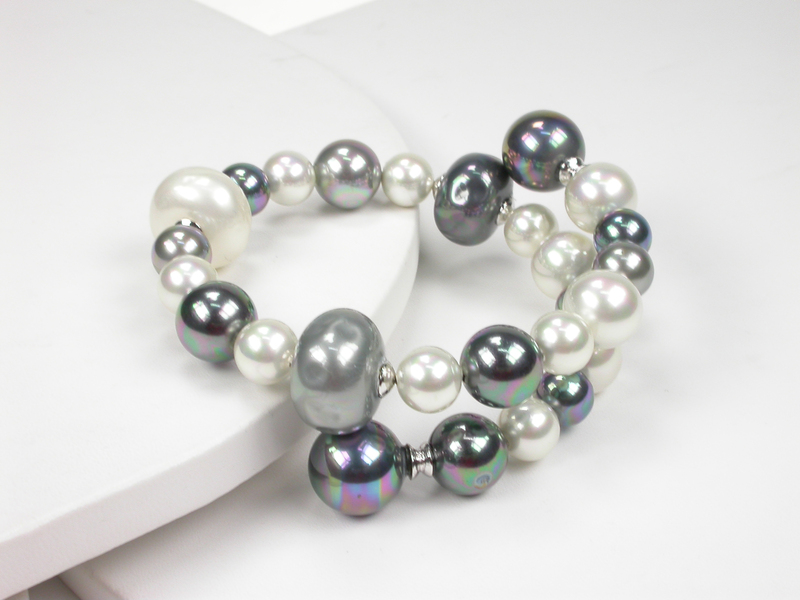 The Bracelet is adaptable to fit any size of wrist! 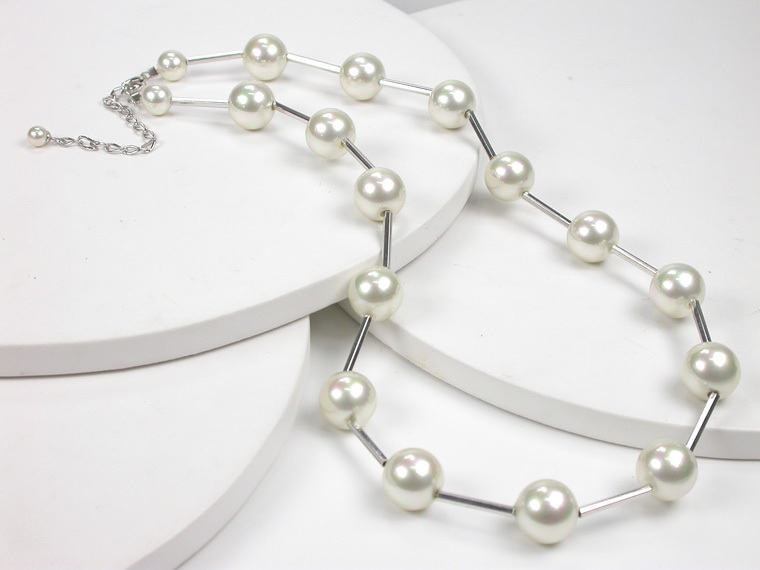 Lovely Necklace with 8 and 12 mm white Pearls and in adjustable length from 45 to 53 cm.so it will fit any neck. 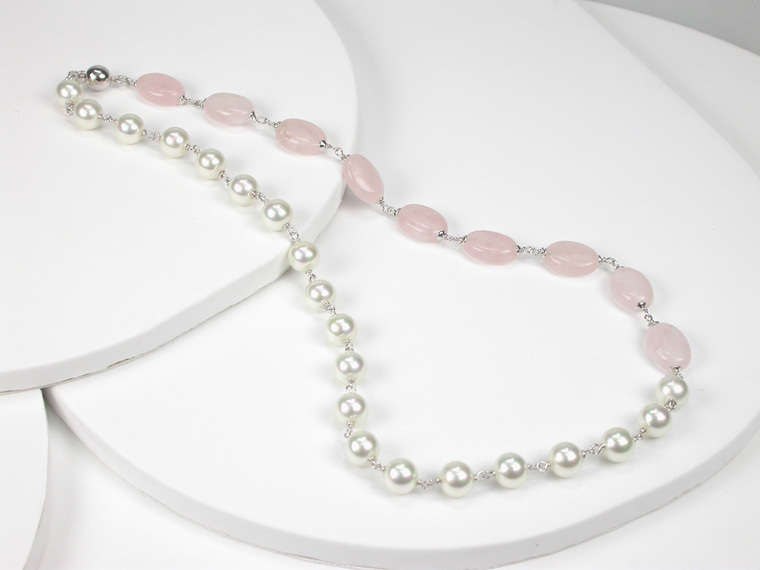 A very wearable necklace and the perfect accessory for special occasions, so as to give a touch of elegance to your everyday dress. 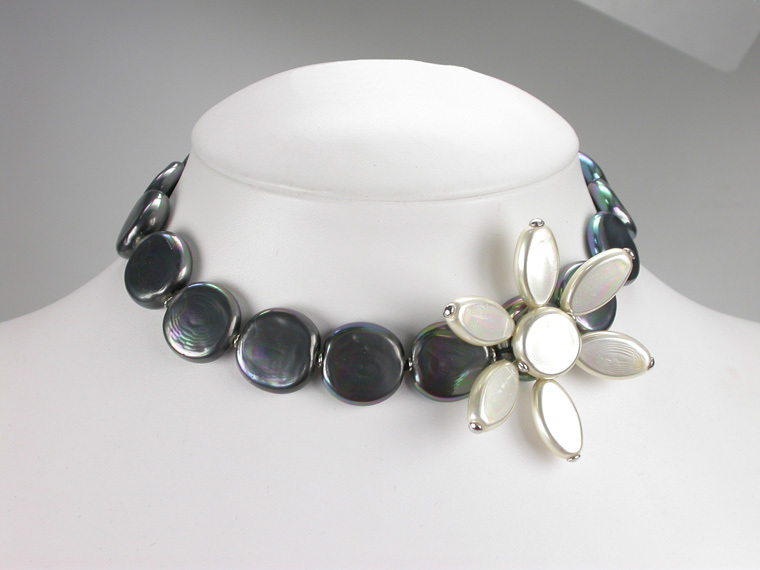 Need to buy Her a gift? 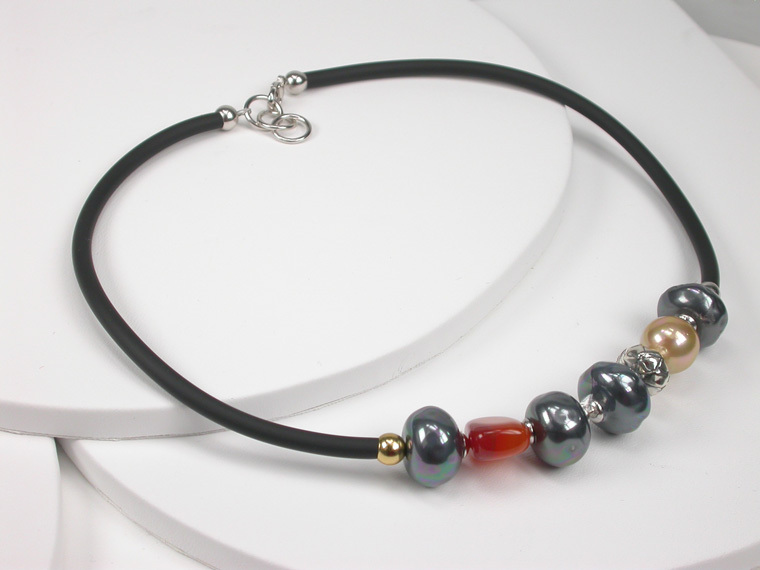 This rubber necklace with gold and black baroque pearls, a Carnelian stone and Sterling Silver elements sure to be a hit. 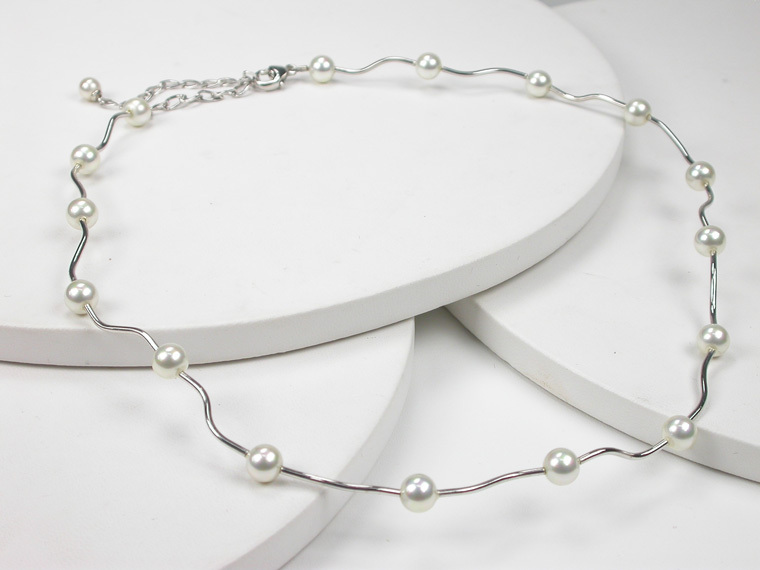 The length is adjustable from 40 to 43 cm. A Charming 18 karat Goldplated Sterling Silver Bracelet with 6 mm. 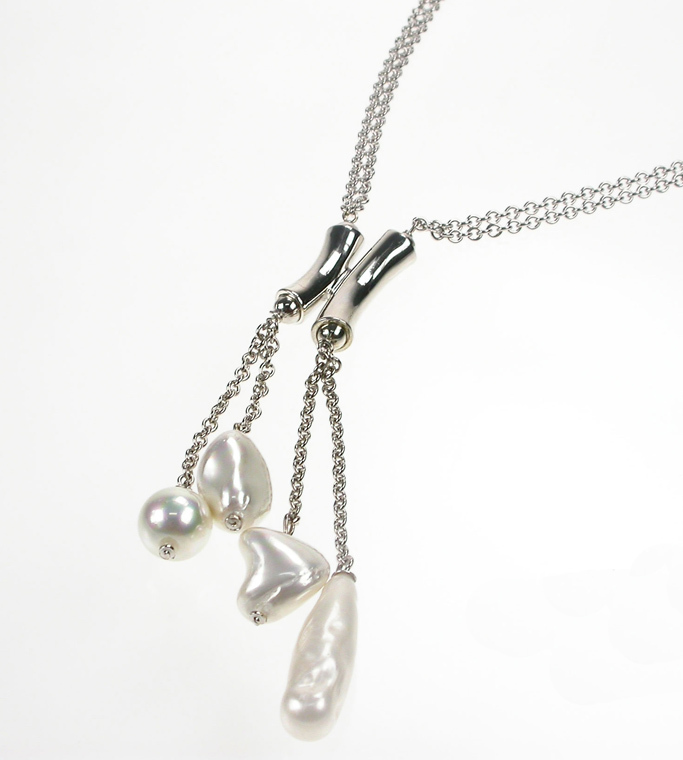 Pearls and Charms for the younger. 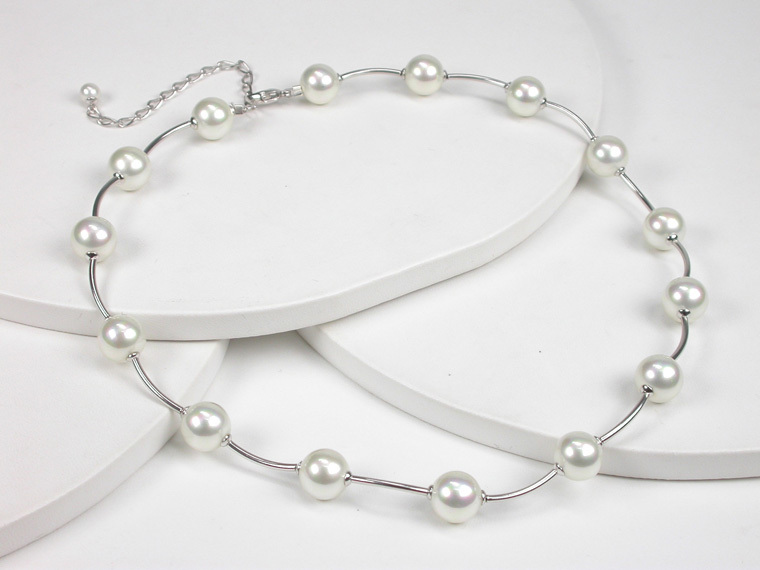 It will be the favorite accessory that will accompany her for many years thanks to its adjustable length from 17 to 21 cm. 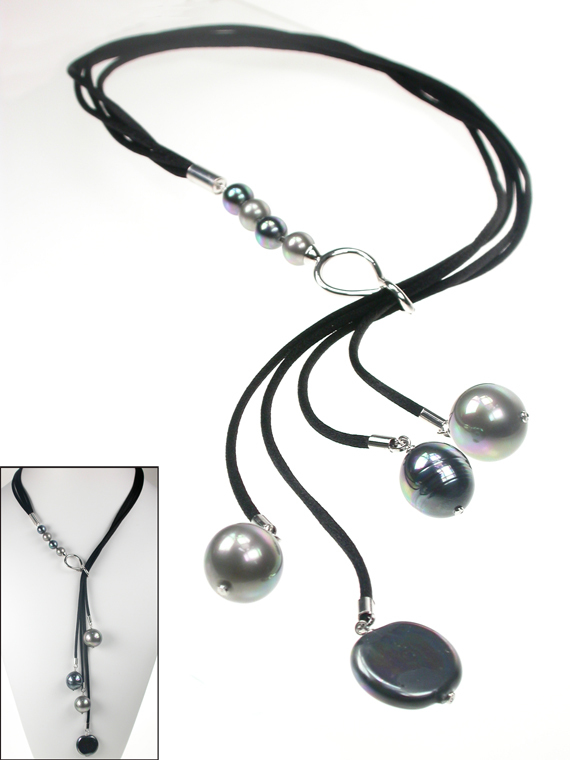 This Silk cord Necklace with Black and Grey Pearls in different shapes, gives a special and smart touch to any kind of clothing. 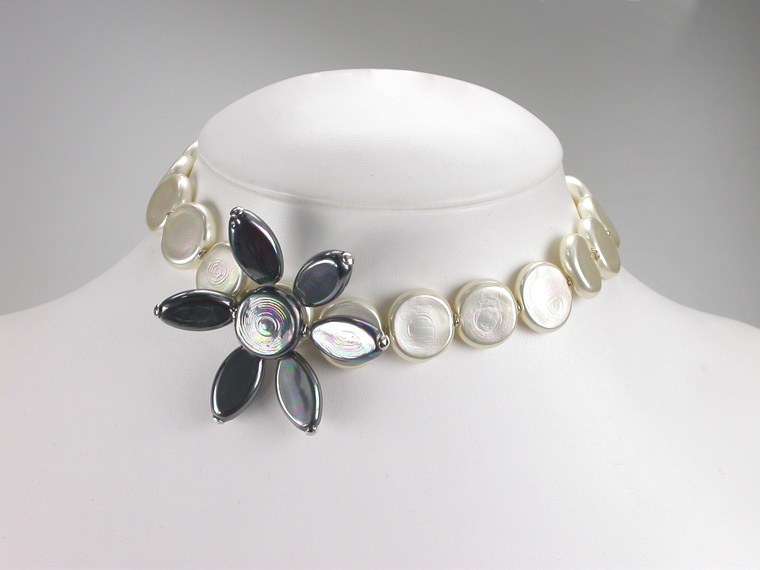 Adjust the length with the Sterling Silver Clip clasp.